It's time to take your life to the next level. 1. An Otis & Eleanor Bongo Bluetooth speaker, handmade from gorgeous bamboo, to lend your home beautiful retro style AND provide quality sound while you enjoy your favorite tunes. The speaker features premium powered drivers and dual passive subwoofers to provide 360-degree sound. Get it from Amazon for $58.87 (available in three colors). 2. 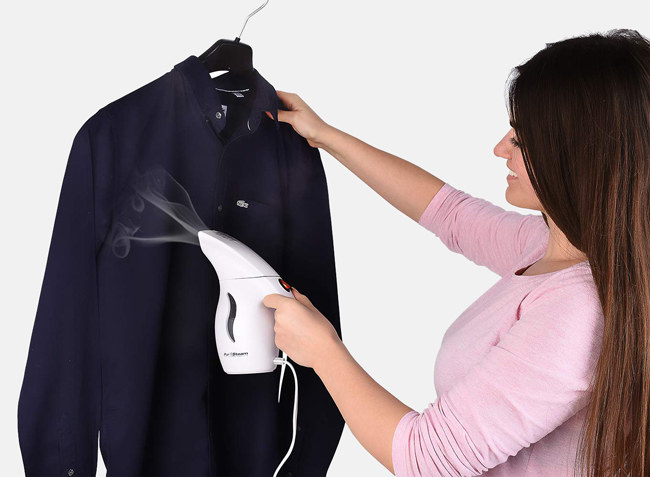 A fast-heating travel steamer that’ll help you knock wrinkles out of your clothes if you don’t have an iron or don’t feel like battling with the one in your hotel room. 3. A shakeable infusion pitcher for adding some yummy flavors to your water or other beverages. The 2.25-quart pitcher features a leak-proof lid and is odor-, taste-, and stain-resistant, BPA-free, and dishwasher-safe. 4. 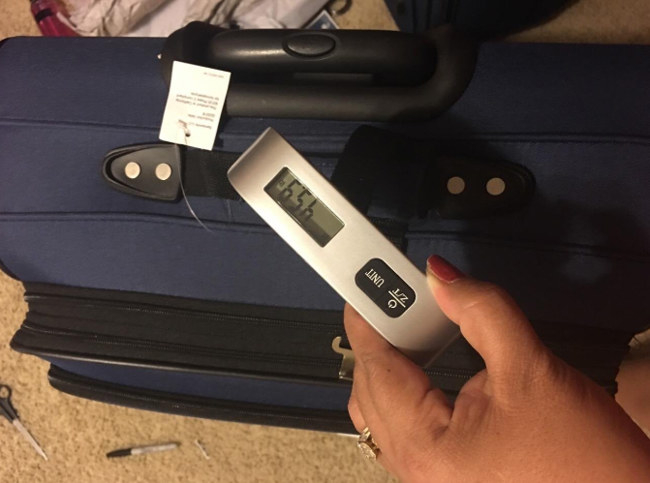 A portable luggage scale so you won’t have to deal with the hassle of taking items out of your bag at the check-in counter. 5. 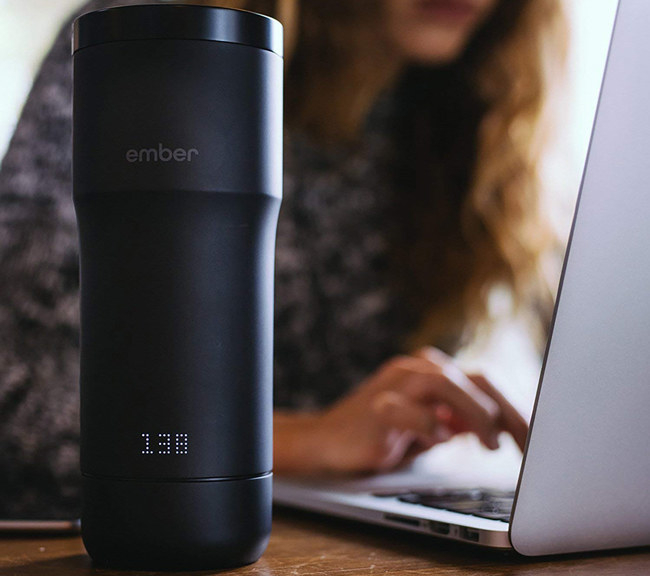 An Ember temperature control mug, which will serve as your handheld assistant by letting you keep your coffee or tea warmed up to your preset perfect temperature. 6. A set of nonstick cookware so you can take your cooking game to tasty new heights without worrying about a messy cleanup. Get it from BuzzFeed's Goodful line, exclusively at Macy's, for $149.99. 7. 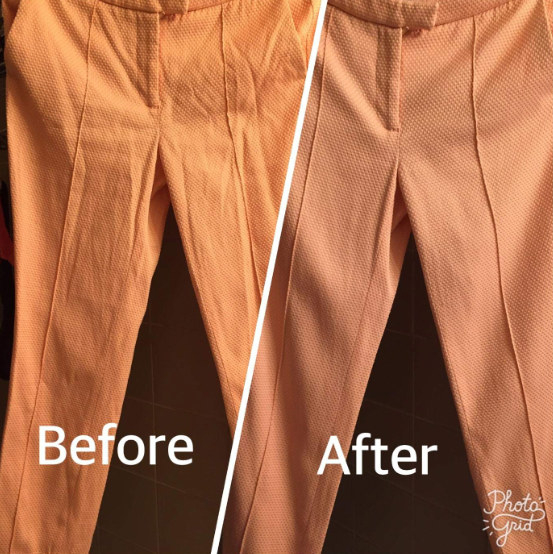 An Oliso Smart Iron — which is designed with scorch guards that lift when you touch them and drop back down once you remove your hands from the iron — sure to make ironing just a little less tedious. 8. 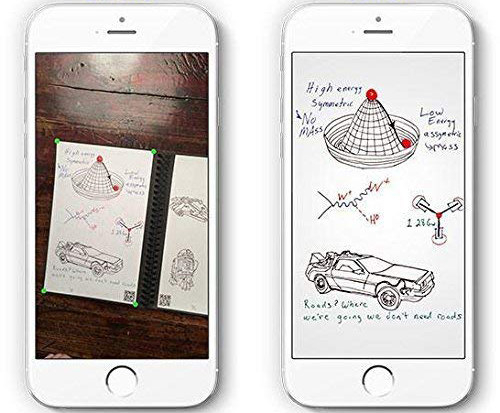 A Rocketbook Wave smart notebook you can toss into the microwave to erase your pages, then use your book again — to make journaling pretty darn epic. 9. A touch-free trash can that can automatically open and close, giving your kitchen all the futuristic (and hygienic) vibes. Get it from Amazon for $64.27+ (available in three styles). 10. A cool-mist humidifier — with an awesome night-light feature — so you can add moisture to the air while filling your room with a peaceful glow. 11. A Voice Bridge box that'll let you make landline calls with your smartphone even when you aren't home. 12. A touch-sensor lamp with a color-changing light so your room will be super cozy when bedtime rolls around. 13. A sleek ION Audio turntable so you can play all your favorite vinyl in the coolest way — and convert records and cassettes into digital music files. The future is now! The turntable features built-in stereo speakers. 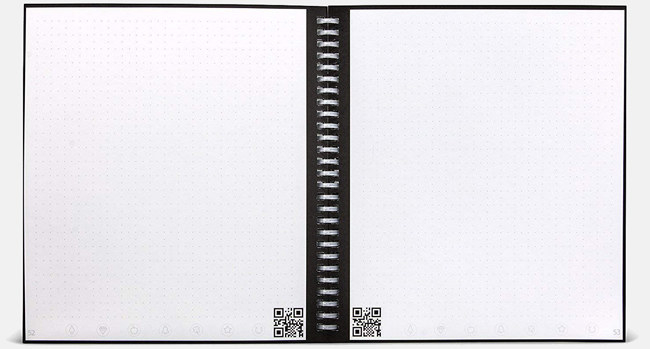 It can connect to your computer with a USB cord to convert records into digital music files. An aux input also lets you convert audio from cassette players and other music devices. Plus, it includes standard RCA outputs for optional home stereo connection and a headphone output. Get it from Amazon for $44.99+ (available in two colors). 14. A set of carbon steel knives to have you feeling like the baddest chef on the block. The three-piece set includes a 3.5" paring knife, 5" utility knife, and 8" chef knife, which all come with matching blade guards. Get them from BuzzFeed's Goodful line, exclusively at Macy's, for $39.99. 15. A Philips Wakeup Light clock that'll simulate the sunrise to gradually wake you up before your alarm goes off — so you won't have the urge to throw your screaming alarm across the room from here on out. 16. A touchscreen electric air fryer so you can enjoy the tasty goodness of your favorite fried foods without the added calories from oil. The fryer features touchscreen accessibility to manually program cooking time, or select from one of seven built-in smart programs. It also includes a button guard to prevent accidental detachment of the basket. 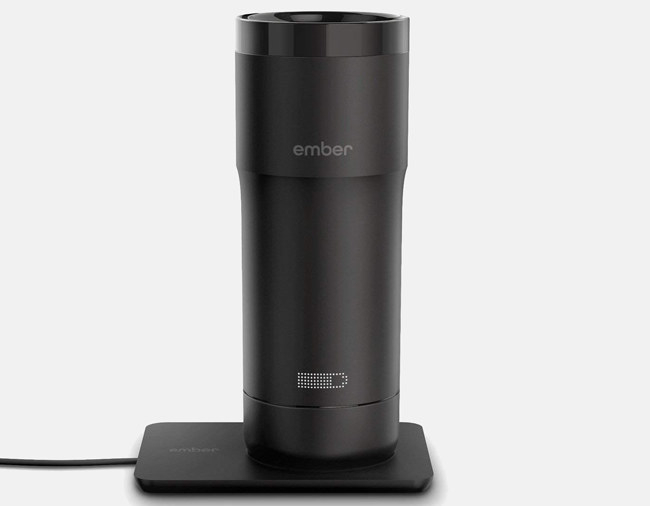 And it has a 30-minute timer with an automatic standby feature that switches the fryer into standby mode upon completion. Get it from Amazon for $73.72 (available in two sizes). 17. An investment-worthy iRobot Braava robot mop you can count on to keep your floors gleaming — without having to lift a finger. It’s recommended you use mild solutions or just tap water with the mop. The mop tracks its path around your home using the included NorthStar Navigation Cube, which works like an indoor GPS to clean your floors. It features two mop modes: dry sweeping or damp mopping. 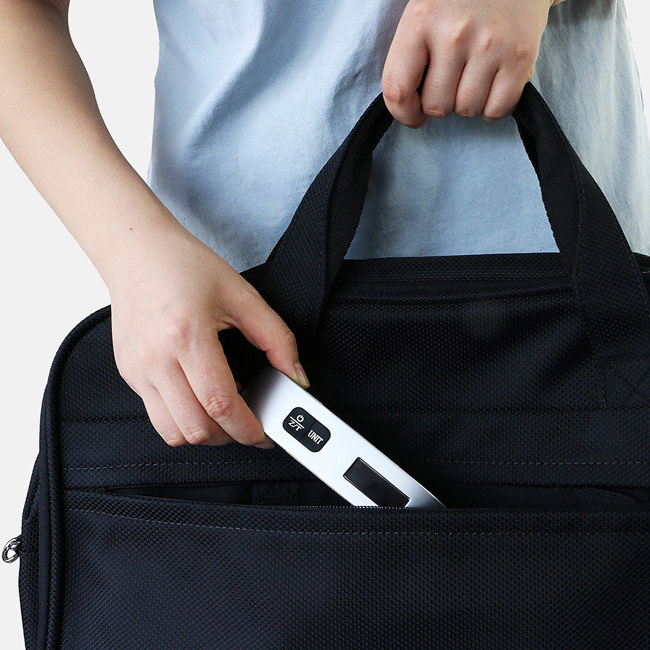 And the mop’s Turbo-Charge Cradle recharges the Braava in just two hours. The mop comes with two reusable microfiber cleaning cloths – one dry sweeping cloth and one damp mopping cloth. Get it from Amazon for $254.99. 18. And a digital food scale — which measures grams, ounces, pounds, milliliters and fluid ounces — to help your reach your health goals and perfect your recipes. Get it from BuzzFeed's Goodful line, exclusively at Macy's, for $24.99.